Unfinished Red Oak 94-inch T Mold T-Molding is used to transition two floors of the same height typically installed between rooms or in entryways. 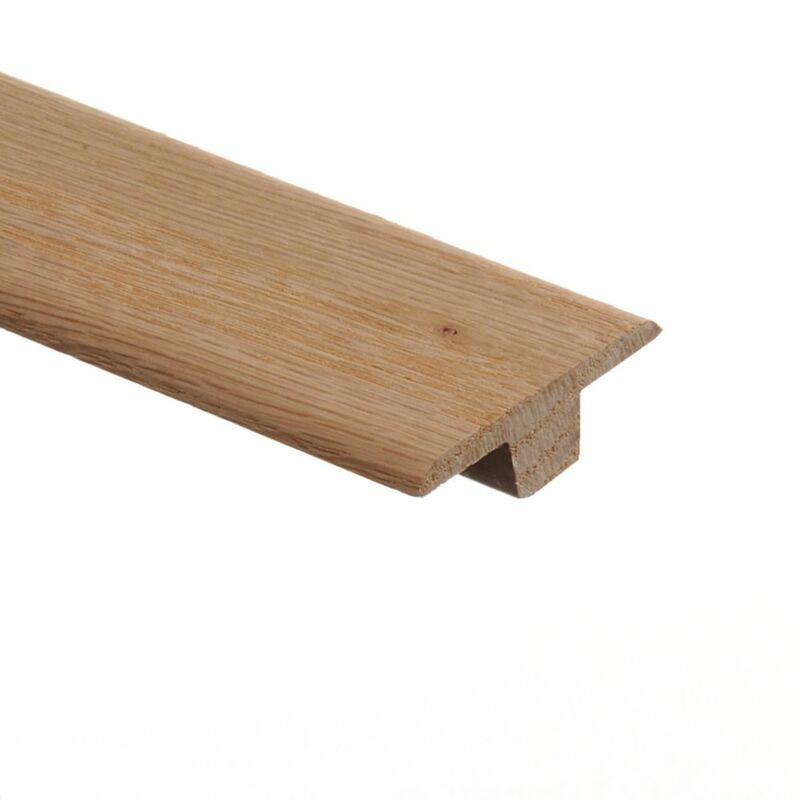 This moulding will provide a seamless look when transitioning between flooring surfaces and in doorways. Providing a beautiful finished look to any room in your home. Unfinished Red Oak 94-inch T Mold is rated 4.5 out of 5 by 65. Rated 5 out of 5 by SSB from I needed a transition floor piece around the fire place the Pergo was not long enough. I purchase... I needed a transition floor piece around the fire place the Pergo was not long enough. I purchase 2 pieces and stained them to match the baseboard trim. Looks great. Rated 5 out of 5 by accurate from Glad I found this to finish off my flooring project. I had installed new red oak hardwood floorin... Glad I found this to finish off my flooring project. I had installed new red oak hardwood flooring in my living room and I needed a way to transition the new to old floor. This T-strip was exactly what I was looking for. The unfinished red oak meant that my flooring company could finish it seemlessly when doing the rest of my floor. The piece was nice and straight and cut nicely on my miter saw. Some glue and a couple small Brad nails and it looks like it was always there. Very happy to have found this in stock so the last step of my flooring job could be finished the same day. 5 stars. I still have a cutoff section that I will find a use for.